And he predicts that will be the fate of all French Wines within the next five years. DA BG doubts the cork die-hards will be down with this! In their place — proudly and against all present opposition — will reign (aluminium) screw caps, which he considers as – “the best alternative to cork ever”. According to Antonin Iommi-Amunategui a French wine writer, self-confessed non conformist and blog contributor to Vin & Société website (an association representing all involved in the industry), Luc Charlier insists that every bottle he ships from his cave – at prices ranging between 9 and 40 euros — be screw-capped. The Flemish outlier maintains his approach is winning the heated argument between natural cork purists and upstart aluminium caps but he will admit to some strong opposition from ‘certain French restauranteurs’. These purists insist they will only order his wine if he reverts to traditional cork because, in their view, any non-natural cork stopper is sacrilege. The pro- and contra-arguments are not new but this time round they might just herald a trend which only a consumer revolt could halt. 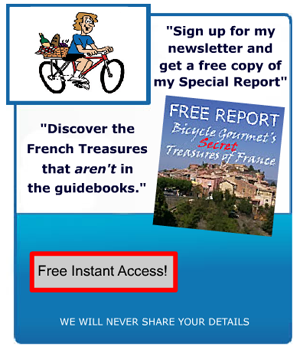 Languedoc – alongside Aquitaine, Riviera and Champagne – is among the top four wine-growing regions in France and should M Flamande’s predictions materialise France’s second most important industry could provoke a revolution to rival that only of 1789. Firstly the long-held belief that wine needs to breathe in the bottle — something natural cork does par excellence – is nonsense: “Contrary to what people say, once the wine is in the bottle it does not need any oxygen to mature,” (which is true if you stick with young wines but hardly credible if you are laying down an investment stock in the cellar of your chateau). Next Portugal’s Américo Amorim, the 78-year-old world cork king, is a liability for the wine industry: “Mr. Amorim admitted at a luncheon once after ‘playing cat and mouse’ with us that ‘even in my best range of cork stoppers, 4% are defective’. That means one in every 25 bottles goes down the drain and that is unacceptable waste” says M. Charlier. On M. Charlier’s last point — cork taint is caused by naturally occurring fungus coming in contact with chlorine — the Portuguese industry would in basso profundo voce doubtless point out it has made great technological strides in overcoming cork taint over the past two decades and with significant success. See here for their view of an “accurate estimate of the rate of cork taint”. Or as Tom Cannavan noted in 2008: “with a history for stoppering bottles that stretches back hundreds of years, cork is woven into the very fabric of wine – as crucial to its development as oak barrels, glass bottles, or even the grape itself. When cork’s fundamental suitability for the purpose is challenged, developments are worth careful consideration” … Doubts have been raised about alternative closures too. 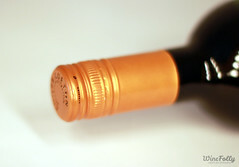 In the 2006 International Wine Challenge in London, a ‘faults diary’ was kept on almost 13,500 bottles that were opened. 7.2% of the wines showed some sort of fault, classified as being closure-related, chemical-related or microbiological-related. TCA was a major culprit, but then so too were oxidation, excessive sulphide levels (‘reduction’) and the unwelcome rogue yeast called Brettanomyces. The conclusion was that whilst the scourge of TCA was almost entirely a problem for cork, other faults were prevalent in wines closed with its alternatives”. Others have raised the temperature in the other direction defending natural cork against all comers: petrochemical upstarts, artificial invaders and horror-of-horrors the ‘clik’ closure now used by some champagne defectors. George M. Taber, author of To Cork or Not to Cork: Tradition, Romance, Science, and the Battle for the Wine Bottle says, “in the wine industry, [it’s a] very hot emotional issue. [For] some people it’s like a discussion of religion. People are either pro-cork or not.” One of the big problems with having an opinion is that while you may be able to tell just by looking at a bottle whether it’s sealed with a screwcap, you can’t necessarily tell anything else about the closure—is it a natural cork, a plastic cork, a glass cork or something else? It could be any of a number of popular choices”. So is the French wine cork lobby, closely linked to its chief supplier, ally and leading trench fighter Américo Amorim, under life-threatening siege from the powerful combined aluminium/synthetic stopper industry armies ? Well Portugal, the world’s largest natural cork producer (50% of global production) — an industry dominated by the Amorim group — has for more than a decade been fighting a multi-pronged, technological and eco-friendly war alongside its French allies, against the insurgents. Clearly this battle will be won or lost in the vineyards of La France Viticole . France produces 20% of all wine on the planet and itself consumes 14% of all global production while the industry earns the country some 6.2 billion euros and employs a quarter of a million people. So the stakes are high for France, Portugal, the Amorims, French wine traditionalists, mother nature’s cork oaks and discerning wine drinkers on one side and the brash aluminium smelters and synthetics manufacturers on the other. Canny French winemakers and traders who over centuries have carefully crafted a trusted allure and mystique, promoted a dignified tradition and fine-tuned a luxury image for the unique characteristics of wine terroir, are today challenged by the same cap brashly worn by a Coca-Cola bottle. Meanwhile on a related flank, according to a rue 89 report, cork is being pushed to respond to the concerns of niche ‘bio’ or organic winemakers. Henri Milan, an organic winemaker in Provence admits the cork stoppers he uses are “not more natural than the alternatives offered (petrochemical by-products or aluminium). Generally he says, cork manufacturers in attempting to fill cracks and fissures and make the cap smoother, use a mixture of glue and sawdust. Additionally they bleach the cork with hydrogen peroxide … I reject these practices which I believe are the cause of a new type of cork taint that appeared in the 80s – coinciding with these practices … I have been on a mission to replace the silicone and paraffin used in natural cork stoppers with organic coatings such as beeswax”, he told the newspaper. Hmm, more fuel for M. Luc Charlier’s fire perhaps? 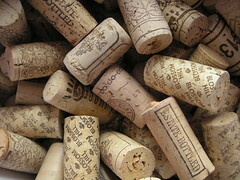 i’m thinkin’ there’s nothing more i could possibly learn about corks after this post! i’m with andy…more than we ever need to know about cork! As is to be expected, each time innovation threatens tradition, there is conflict. why is it some people are blinded by tradition? great point bram……always resistance to anything new that threatens somebody’s wallet! interesting post…but frankly i find the arguements on both sides equally self-serving and manipulated. well done post…but i’m UP TO HERE with all these peopla so obessed about wine!